The Pogues frontman has responded to the criticism of the classic Christmas anthem. 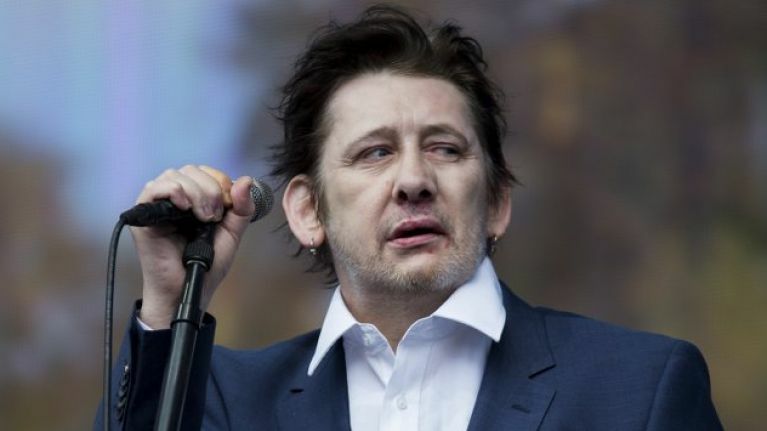 Shane MacGowan, lead singer of the Celtic punk band The Pogues, has defended the use of a homophobic slur in the band's famous Christmastime anthem 'Fairytale of New York'. MacGowan has stated that the line, "You scumbag, you maggot, you cheap lousy f****t", sung in the second verse by Kirsty MacColl, is representative of the imperfect character she is portraying in the song. At the same time, the singer has also said that he is fine with the line being censored, explaining that "if people don’t understand that I was trying to accurately portray the character as authentically as possible then I am absolutely fine with them bleeping the word but I don’t want to get into an argument." The song's lyrics have stirred debate this week after RTÉ 2FM DJ Eoghan McDermott called on the national broadcaster to censor the song, before they themselves confirmed to JOE that they would continue to play it uncensored. "The word was used by the character because it fitted with the way she would speak and with her character. She is not supposed to be a nice person, or even a wholesome person. She is a woman of a certain generation at a certain time in history and she is down on her luck and desperate. "Her dialogue is as accurate as I could make it but she is not intended to offend! She is just supposed to be an authentic character and not all characters in songs and stories are angels or even decent and respectable, sometimes characters in songs and stories have to be evil or nasty in order to tell the story effectively. "If people don’t understand that I was trying to accurately portray the character as authentically as possible then I am absolutely fine with them bleeping the word but I don’t want to get into an argument." BBC Radio 1, meanwhile, has censored the word in recent years and will likely continue to do so.